As we all know, there are few things that a twenty-something loves more than a boozy brunch on the weekends. Let’s be honest, if we could do boozy brunch every day of the week, we would. A lot of the fun is the bottomless drinks, and the atmosphere – but occasionally a weekend brunch in the comfort of your own home does just the trick. You can have as many mimosas as you like, you don’t have to drive, take public transport, or hail a cab, and you have full creative power over the menu. In the spirit of boozy brunch weekends we are bringing you an easy, tasty recipe for a panini and mimosa – go forth and enjoy it! 2 rib-eye steaks, each about 12 oz. Preheat an electric panini press to high (400°F) according to the manufacturer’s instructions. Season the steaks with salt and pepper. Place the steaks on the panini press. Close the lid and cook for 3 to 5 minutes for medium-rare, or until done to your liking. Transfer the steaks to a cutting board, cover loosely with aluminum foil and let rest for 5 minutes. Cut the steaks into strips 1/4 inch wide. In a bowl, whisk together the eggs, milk, parsley, chives, salt and pepper. In a nonstick fry pan over medium heat, warm 2 Tbs. of the melted butter. Add the egg mixture and, using a silicone spatula, stir frequently until soft curds form, 3 to 4 minutes. Remove the scrambled eggs from the heat. Reduce the heat on the panini press to medium (350°F). Brush one side of each bread slice with the remaining 4 Tbs. melted butter. Lay 6 slices, buttered side down, on a work surface, and arrange 3 or 4 steak slices on each one. Top each with 1/4 cup scrambled eggs and 1 cheese slice. Top with another bread slice, buttered side up. 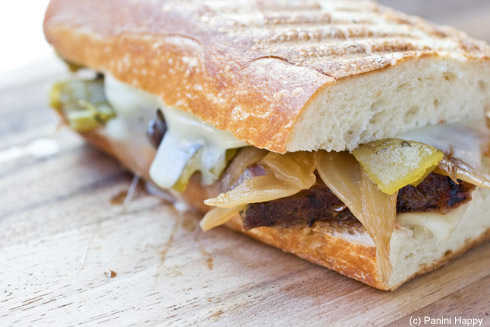 Place 2 sandwiches on the panini press and close the lid. Cook until the sandwiches are nicely grill-marked and the cheese has melted, about 3 minutes. Repeat with the remaining sandwiches. 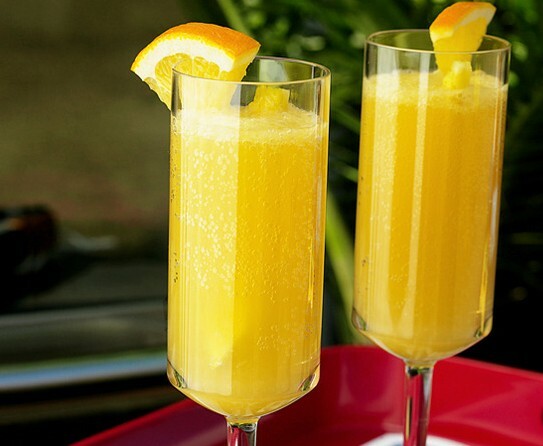 Mimosa’s are a great staple drink to have in your back pocket for brunches. They are simple, and the perfect ratio of champagne to juice can not be beaten. Especially now that spring has arrived this cocktail has taken its rightful place at my brunch table. Invite some friends over for a boozy brunch and get to snacking, you deserve it.